From Beads to Drums to Masquerades, from Grandmother to Yams, this photographic alphabet captures the rhythms of day-to-day village life in Africa. Ifeoma Onyefulu's lens reveals not only traditional crafts and customs, but also the African sense of occasion and fun, in images that will delight children the world over. A is for Africa By Ifeoma Onyefulu is a great way to introduce children to another culture whilst familiarising them with the alphabet. 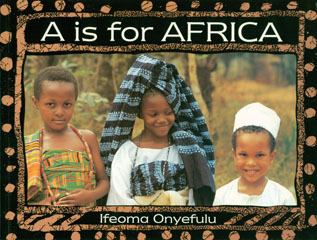 A is for Africa By Ifeoma Onyefulu is available to buy now.